After some initial resistance, I realized his point was valid. I had made some bold statements about what self-coaching can do for an organization, but I never provided any details on self-coaching. I’m grateful that this person took the time to share his candid thoughts with me. And so I’m shifting gears a bit today to define self-coaching. Hopefully it will fall further toward the ‘helpful’ end of the ‘promising / helpful’ spectrum! I see self-coaching as an approach to becoming more self aware, which allows an individual to make sustainable behavioral shifts that result in unlocking her/his potential and improved effectiveness. In this post I will provide background on how I came to the idea of self-coaching, share the three focus areas that lay the foundation for self-coaching, and finally define the three steps of the self-coaching path which makes this actionable. 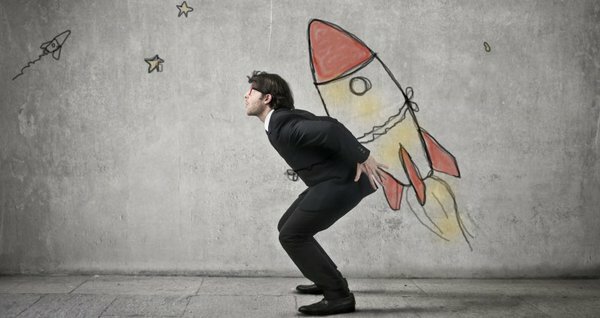 In 2014 I created a training program called ‘Get Out of Your Way.’ I wanted to teach people a relatively simple set of techniques and skills that would help them see and work through self-imposed limits to unlock their potential and achieve heightened success at work and in life. Regretfully, I found that ‘Get Out of Your Way’ might lead to trouble around trademark concerns. At first I was bummed but soon shifted to a mindset of something better will come. My initial inner-voice answer to that question was ‘you are nuts.’ After all, I’m a trained coach and I know how valuable it is for a neutral 3rd-party to help an individual look at things differently, to ask them challenging questions. And yet, when I began to think about the question “who do we talk to more than anybody else?’” I realized the answer was simple, consistent, and on some level profound. Yep, we talk to ourselves more than anybody else. How helpful would it be to cultivate an “inner coach” that allowed some of those conversations we already have with ourselves to have more of a coaching flavor? Well, I did what most inquisitive people would do, I Googled the term self-coaching. I found a listing for a book on self-coaching with a therapy spin. But that was enough for me to think, ‘ok, maybe I’m not that nuts.’ Ever since then I’ve used the self-coaching label and changed the name of my program to ‘Coach Your Self Up – Self-Coaching Skills for Success’. In 2015, Ed Batista offered his inaugural course at Stanford’s GSB called ‘The Art of Self-Coaching.’ It was a hit (full class with a waitlist) and will be offered again this spring. Ed posts lots of materials on his website (link above) if you’d like to see his take on self-coaching. My intention was to create a simple approach with a clear set of steps, based on raising one’s self-awareness. There’s a loaded term for you…’self-awareness.’ That comprises a huge domain. Where to focus? My experience as a longtime facilitator/instructor suggests that presenting information in chunks of three helps the content to ‘stick.’ (This is also backed by many brain research studies.) My version of self-coaching is thus built upon raising self-awareness in three key areas. Those three areas are (1) Attention, (2) Self-Limiting Behaviors/Patterns and (3) Self-Limiting Stories. Attention – We live in a world of distraction where our attention is under constant attack. Becoming more aware of our attention (or more often our lack thereof) is a key building block. Self-Limiting Behaviors / Patterns (SLBs) – Most of us are familiar with the notion of getting in our own way. And if not, we most certainly witness this in others…”if only s/he could get our of her/his own way.” Learning to see where our own behaviors are limiting us is important. Self-Limiting Stories – These often underlie our SLBs. I use the word ‘stories’ as a catchall for things such as assumptions, conclusions, opinions, beliefs, etc.. I propose that most us are swimming in a sea of stories and yet are often unaware of their existence. We operate as if these stories are facts…and that gets in our way. In future posts I’ll share more about these three areas of self-awareness building. Raising self-awareness is great, but to what end? The desired outcome is for one to make a sustainable behavioral shift that results in unlocking potential and improving effectiveness. How to package this in a way that will be easy for people to grasp? If it was that easy, we’d all very quickly and easily drop our SLBs. But we know it doesn’t work that way. Think about New Year’s resolutions. Anecdotally it’s safe to say that a significant majority of those desired behavioral shifts fall by the wayside fairly quickly. The gyms are full in January; February, not so much. So, somewhat counter-intuitively, one needs to spend a fair amount of time simply noticing their SLB. A few times a week a person should write down the answers to a few questions. (1) How often in the last few days did I engage in my SLB? (2) Roughly how much time elapsed between engaging in my SLB and my awareness that I did so? Over time, one’s brain will realize that s/he is paying attention to this SLB and will bring it to one’s attention more quickly. This allows a person to start digging underneath the surface behavior (e.g., interrupting others) to investigate the underlying stories at play when the SLB is engaged. Those stories (the inner work) hold the key to making a sustainable shift in an SLB (the outer work). Ultimately one begins to experiment with other responses (e.g., being more curious about what other people have to say vs. feeling the need to speak over them) to test the truthi-ness (always wanted to use that word) of their stories…which often are not true in the first place. There’s a lot to the self-coaching path and I will also return to this topic in the future to double-click on each of the steps in more detail. I’ve built a training program, ‘Coach Your Self Up,’ that teaches self-coaching skills, based upon the definitions provided above, to cohorts of employees. While it’s still early, I’ve delivered the program a number of times and the participant feedback has been great. For example, 95%(!) of participants to date have expressed an intention to use self-coaching skills throughout their careers. I’m excited as this underlines the powerful impact this program can have in helping employees unlock potential and improve their effectiveness at work; and more broadly in other aspects of their lives. Even if this specific program or definition of self-coaching doesn’t feel like a fit for your organization, it may spur your thinking on how you can do something along the same lines. I’m an advocate for the power that self-coaching (of any flavor) can have in helping people bring forth their best selves at work. As with any new idea, self-coaching will take time to gain traction. More and more forward-thinking companies will pioneer this concept. As the value becomes clearer and word of mouth starts to spread, self-coaching will become more prevalent as a key lever that organizations will pull to improve employee effectiveness and engagement. It’s also important to note that self-coaching is not intended to replace the importance / value of having coaches in one’s life. We all benefit from having ‘coaches’ that we can go to, whether it’s a professional coach, a parent, a partner, a manager, a peer, etc.. Self-coaching is intended to augment those relationships. 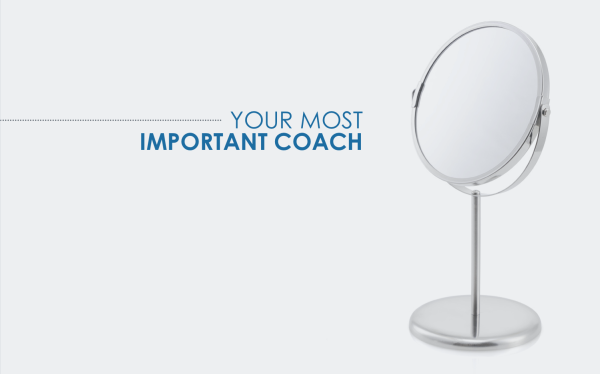 Don’t hesitate to reach out if you’d like to discuss any aspect of the self-coaching topic. Does your organization strive to have employees take ownership of their own careers? Of course managers and the organization itself have a role to play, but ’employee-owned’ careers are now the favored model, certainly in the fast-growing companies in my backyard here in San Francisco. While progress has been made, my experience suggests that there is still a gap – sometimes significant – in making employee-owned careers a reality at many companies.